Rabies is transmitted by a virus and is one of the most devastating diseases affecting mammals, including dogs and humans. The danger of a bite from a rabid dog was described in writings dated from the 23rd century BC. The disease is usually transmitted by the bite of an infected animal. Rabies occurs in every continent except Australia and Antarctica. Most countries are affected with the exception of a few island countries such as Great Britain, Ireland, Japan and Hawaii. Norway, Sweden and the Iberian Peninsula are also free of rabies. Following a bite from a rabid animal, the disease progresses in stages. In the first or prodromal phase the dog undergoes a marked change in temperament. Quiet dogs become agitated and active pets become nervous or shy. Furious rabies occurs when the rabid dog becomes highly excitable and displays evidence of a depraved appetite, eating and chewing stones, earth and rubbish (pica). Paralysis eventually sets in and the rabid animal may be unable to eat and drink. Hydrophobia (fear of water) is not a sign of rabies in dogs. This is a feature of human rabies. The dog finally dies in a violent seizure. Dumb rabies is the more common form in dogs. There is progressive paralysis involving the limbs, distortion of the face and a similar difficulty in swallowing. Owners will frequently think the dog has something stuck in the mouth or throat. Care should be taken in examination since rabies may be transmitted by saliva. Ultimately the dog becomes comatose and dies. If any animal that may be suspicious for rabies bites you, immediately wash and flush the wound thoroughly with soap and water, -and seek immediate medical assistance. Is it possible to vaccinate my pet? 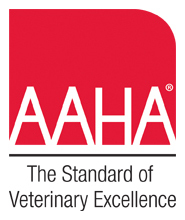 There are several rabies vaccines approved for dogs, cats, horses and ferrets. Dogs and cats between the ages of twelve and sixteen weeks should be vaccinated. Rabies revaccination is dependent on state or provincial law. 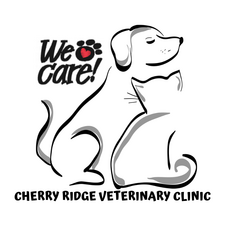 Your veterinarian will advise you on the appropriate revaccination intervals and can assist you in obtaining any necessary licenses for your pet.